Lipton tea has launched a marketing campaign on Instagram for young people (aged 22–30). It’s a photo challenge that will be running for four weeks, and there will be a new theme each week. One overall winner will also win a trip to Kenya for two. More information available on Lipton’s Facebook page. British Airways has commissioned Twinings to develop a new teabag that would make tea as palatable at 35,000 feet as on the ground. British Airways serves approximately 35 million cups of tea a year, and has now launched a “campaign to improve tea in the air”, said Kate Thornton at British Airways. Tea from Assam (India), Kenya and Sri Lanka make up the new blend that will be available to customers from February 1, 2013. Twining said that two of these are “particularly suited to fast extraction at altitude”. The problems with tea drinking at high altitude is that taste is reduced by up to 30 per cent according to research. And water will boil already at 89°C. These are the reasons why British Airways thought it necessary to offer a specially developed high altitude blend. 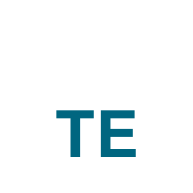 The Swedish tea site “Om te” has been live for a few years now. It was started in 2006. And finally, time has come to translate the entire site into English, which is currently being done. The translation will hopefully be completed within the next few weeks or months. Please also consider following the tea blog by subscribing to the website’s RSS feed. Here’s how to subscribe with your browser (Mozilla Firefox): Bookmarks > Subscribe to this page > Subscribe to “Omte.se” feed. The biggest tea producing countries have established a new organization called ”International Tea Producers’ Forum”. The objective is to increase demand for tea through marketing activities and to ensure a sustainable tea production. Price stability also seems to be on the agenda, which according to Financial Times should be interpreted as: ”Let’s push up prices as much as we can.” During the 1930s crisis, the tea industry successfully raised prices by limiting production. It’s however not known whether the member countries will want to limit their production. The member countries of the new organization are India, Sri Lanka, Indonesia, Kenya, Malawi and Rwanda. It’s unclear whether China will participate. The headquarters of the new organization will be situated in Colombo. The total tea production in India exceeded one billion kilos already in 2011, but it’s not until now the data is available after a revision. The reason for the big increase is that every small-scale producer is now included in the national tea statistics. Their share is approx. 29 per cent of the total production. The improved reliability of the Indian tea statistics is the result of implementing a new electronic system for the collection of production data. The revised number for India’s total tea production for 2011 is 1063.5 million kilos. The number for 2012 is not yet available, however, the production from January to November has already exceeded a billion kilos (1023.9). This is reported today in the daily Indian newspaper The Hindu. The British have experimented with coffee leaf tea at least since the 1840s, so this is by no means a new invention. However, coffee leaf tea didn’t become a commercial product since Great Britain instead chose to invested their time and money into developing the Indian tea industry during that time. The Telegraph reported yesterday that researchers recently tested 23 different types of coffee plants. The researchers found that 7 of the plants contained large amounts of the substance mangiferin, whose name reveals that it was first found in mangos. The coffee plant Coffea arabica was especially rich in this substance. This coffee plant also proved to be extremely rich in antioxidants. Coffee leaf tea is therefore much richer in antioxidants than ordinary coffee and tea, but this doesn’t necessarily mean that the beverage is more wholesome. More research is needed. The coffee leaves also contain a relatively small amount of caffeine. The beverage is furthermore described as having a mild and earthy taste. Tea taster Alex Probyn describes the flavour as fresh, and similar to that of cut grass and green tea. He also mentions that the beverage is nothing like coffee. The study was published in the scientific journal Annals of Botany in August 2012 under the title A survey of mangiferin and hydroxycinnamic acid ester accumulation in coffee (Coffea) leaves: biological implications and uses. China’s had a strong growth during the past few years and has made progress in several areas. And the tea industry has been no exception. China produced 935 million kilos of tea in 2005, and had five years later increased production to almost 1.5 billion kilos – an increase of 57.76 per cent! And growth continues. Production was estimated to exceed 1.6 billion kilos in 2011. The world’s second largest producer, India, only had a production growth of 4.14 per cent during the years 2005–2010. In Sweden, the total value of retail sales of tea has decreased in the last two years (2010 and 2011). The reason for this seems mainly be a result of a stronger currency that has made imports cheaper. There is however no information on the development of the tea prices in Sweden during the period. More information is available on the Tea statistics page.